just as it is with you, and that we may be delivered from unreasonable and wicked men; for not all have faith. The Apostle Paul lived an abnormal life. His devotion to Jesus Christ brought every normal desire and activity under subordination to the will of God and the cause of the Gospel message. Because of this, Paul truly did “die daily” (1Co 15:31) to himself, that the life of Christ might live through him (Gal 2:20). In light of this strange and difficult lifestyle, filled with above-normal danger and affliction (1Co 4:9–13; 2Co 6:3–10), it is very instructive to study both the prayers of Paul for the saints (which form the basis of most of his epistles), and his requests for prayer on his behalf. In a quick survey of such requests, not once can we find Paul asking for prayer to take away or alleviate his sufferings. On three occasions where he implies that the prayers of believers on his behalf might bring about deliverance (Rom 15:30; Phi 1:4; Phm 22), the focus is never on escape from affliction, but that effective ministry might continue. It is also interesting to note that Paul is confident—no doubt due to his own prayers—that such is the case for his readers, “just as it is with you.” He has confidence in the faithfulness of the Lord that the Thessalonians will be stabilized in their own sufferings (1Th 2:14–16) and delivered from the wiles of the devil. This confidence was due, in part, to the faith and endurance which the Thessalonian believers had demonstrated in the past. It is unlikely he could have said the same for the Corinthians or the Galatians as a whole. How we thank God for those of you who pray for us, and for the swift but silent running of the Word of the Lord to the souls of men. We also pray for you, knowing that the Lord is faithful, and that He will guide you—and guard you—in these perilous times. Let us take courage also from the words of Sir Winston Churchill, who in the dismal early days of WWII said, “These are not dark days. These are great days, the greatest the British people have ever faced.” It is good to remember that it is only in times of deep trial that heroes step forth onto the stage of history. May you be one of them! We were blessed to have played a part in three summer camps this year. The first was the Arkansas Camp in June; the second was a hastily organized “Advanced Mission Boot Camp” here in Arizona; and, toward the end of July, the Pennsylvania Camp. The youth camps always provide a refreshing opportunity to serve together with dedicated staff and speakers, and to watch the Spirit of God work in the souls of young men and women. Every year, God continues to display His power to call and transform young lives for His service and glory. The “boot camp,” organized by request from some of our former students, provided an opportunity to study God’s Word combined with wilderness hikes, sighting elk, tracking bears, and visiting some of the pueblo ruins of the ancient inhabitants of Arizona. Special thanks belongs to Dave and Kim Maguire, who provided food, transportation, and faithful support in too many ways to mention. 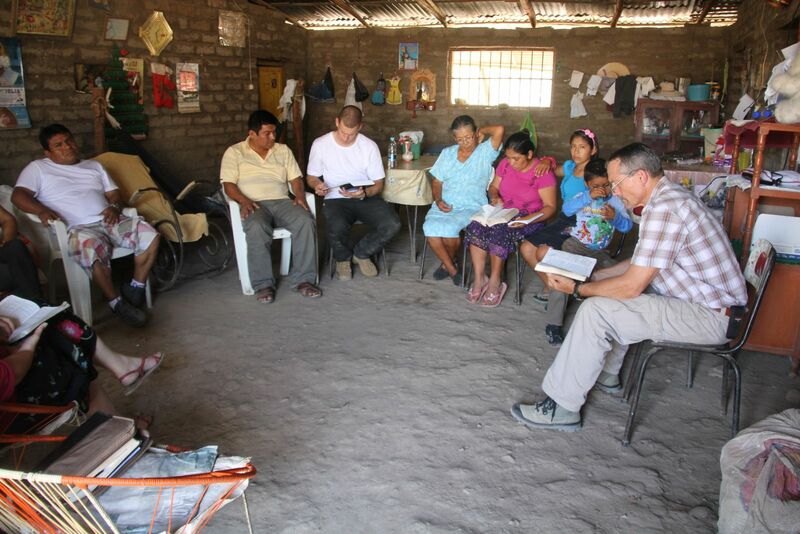 Working with our faithful and able co-workers, Julio and Betty Cesar, we were able to move into a new area, in the town of Tambogrande, for a Bible Conference in the book of Jude. Over 100 pastors and church leaders joined us for four days of Bible teaching—displaying great hunger for His Word and joy in fellowship with like-minded believers. There are several faithful pastors in this town who are committed to the “doctrine of the grace of God.” It was a joy to serve with these ministers of God’s Word and visit in their churches. 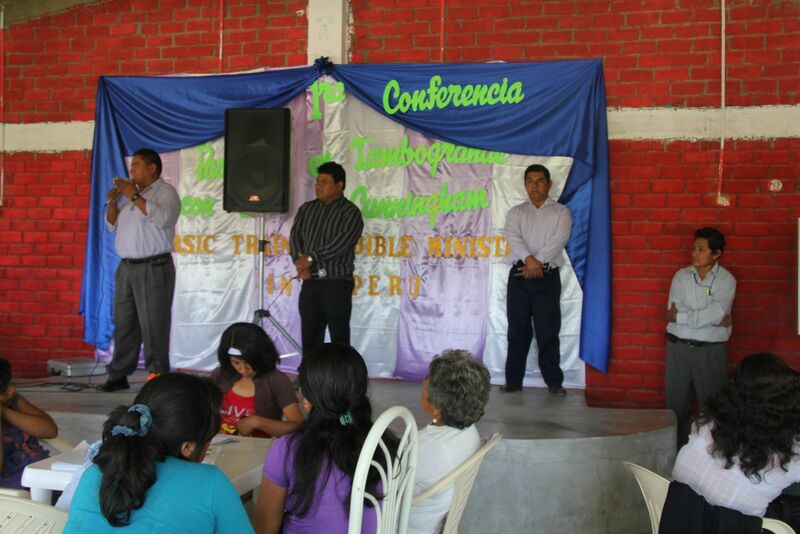 Please pray for Pastors Antolin, Victor, Hugo, and Gumer. Due to a recent printing of 2,000 Basics books in Spanish, we were able to distribute them freely to all the attendees of the conference. Nan and I were joined on this trip by Blair and Aurora Buselli (both addicted to missions), and by Brett Hillam, from Canberra, Australia, who proved to be a great companion and servant in every way. My sister Cindy came as translator, and without her faithful work nothing could have been accomplished. 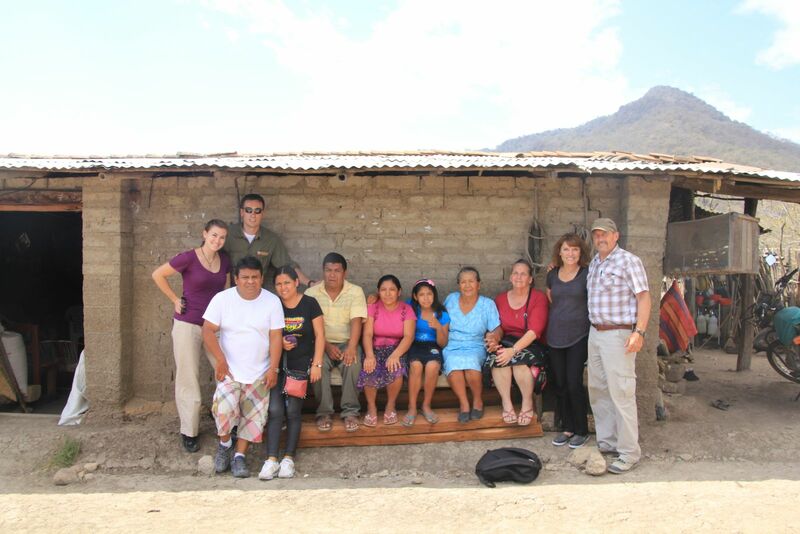 In the course of this journey, we visited a remote ranch and met with two ladies who are the only believers in their area. In the course of discussing the Bible with them, we had the unexpected joy of leading our driver, Milton, to the Lord. Along the way, we also saw several others come to faith in Christ; and we rejoice to see them enter the family of God. We ask that you pray for Norma and Julia, the two believers, and for Jose, Julia’s 83-year-old husband, who is not yet a believer. Also pray that God will surround the new believers with his protective hand. Immediately on our return from Peru, we were blessed to meet with the great believers in Southern California for our fourth conference in this area. From Friday evening through Sunday morning, we studied the book of First Corinthians. What a rich experience to walk through the entire book, gain insight into the problems of the Corinthians (not very different than our own), and to see the wit, wisdom, and compassion of the Apostle Paul. We thank Steve and Karen Smith and Mike and Jeannie Yanko for great work in planning, preparing, and hosting this conference. God has blessed us with such great teams in so many places. We have a busy fall ahead of us with four fall conferences and three overseas missions before slowing down over the Christmas holidays. We will keep you posted on specific prayer requests regarding these missions as the dates come closer. Thank you all for your love and support! Indeed the Lord is faithful!